Troop 403 has a proud tradition of Eagle Scouts, dating back to our first Eagle, Don Mancuso, in 1969. The journey to Eagle Scout is a long and difficult one. This rank is not easily attained and that is why the Eagle Court of Honor is so special. Only 2% of all boys who join scouting will become Eagle Scouts. 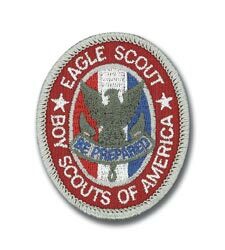 No one ever says “I was an Eagle Scout,” because once a young man becomes an Eagle Scout, he is always an Eagle Scout. Troop 403 has been a strong foundation for more than 110 scouts to attain the rank of Eagle since 1967.